The award winning DigiLit Leicester project ran as collaboration between Leicester City Council’s Building Schools for the Future Programme, De Montfort University and 23 of the city’s secondary mainstream and SEN schools, between 2012-2016. 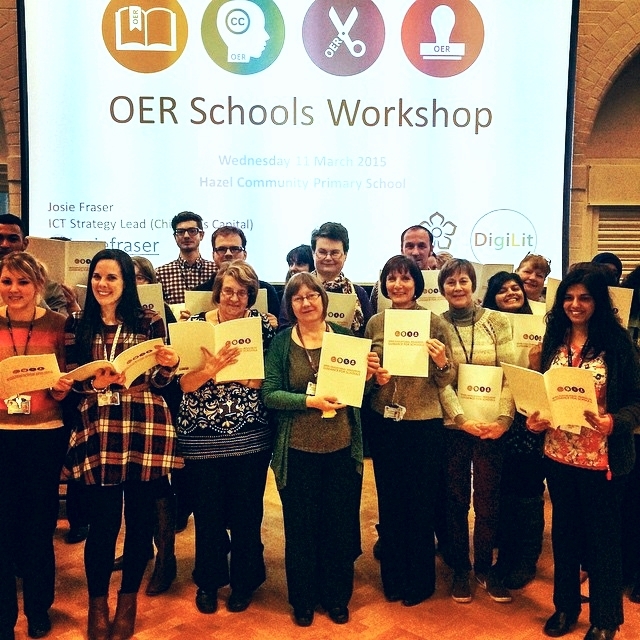 The project focused on supporting secondary school teaching and teaching support staff in developing their digital literacy knowledge, skills and practice, and their effective use of digital tools, environments and approaches in their work with learners. 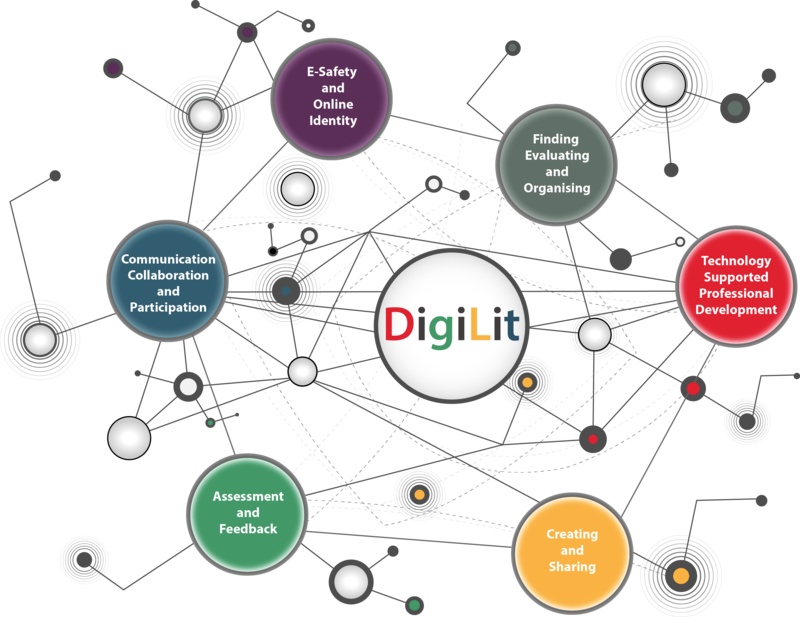 The Digilit Leicester project was designed to ensure school staff and learners get the most out of any investment in technology being made within education, enabling schools to make best use of technology to meet their aspirations for transforming educational provision. It supported schools in making sure every learner can benefit from an education that is supported and enhanced by the use of technology to raise achievement and aspiration, connect communities and open opportunities. In consultation with the partner schools, the project team created a Digital Literacy Framework, linking digital literacy competencies and priorities with secondary school practice. This framework was then used to build an online survey, designed to support staff in reflecting on their use of technology to support teaching and learning, and to provide schools and the Council with information to inform our planning and next steps. A summary of the initial phase of the project, including the content of the DigiLit Leicester framework and survey, can be found in the Initial Project Report. The survey was first open between April and July 2013, during which time 450 members of teaching and teaching support staff participated. More information about this phase of the project, including the survey methodology and findings, can be found in the 2013 Survey Report. Recommendations for areas of focus and activity were developed in line with the strengths and gaps indicated by the 2013 survey findings. These recommendations were used to drive and frame a range of opportunities for staff and schools. During this period, the DigiLit team led on six events and projects, and 21 school-led projects were undertaken. More information about this phase of activity, including accounts of each project, can be found in the Project Activities Report. Despite the growing interest in digital literacy within educational policy, guidance for secondary educators in terms of how digital literacy translates into the classroom is lacking. As a result, many teachers feel ill-prepared to support their learners in using technology effectively. 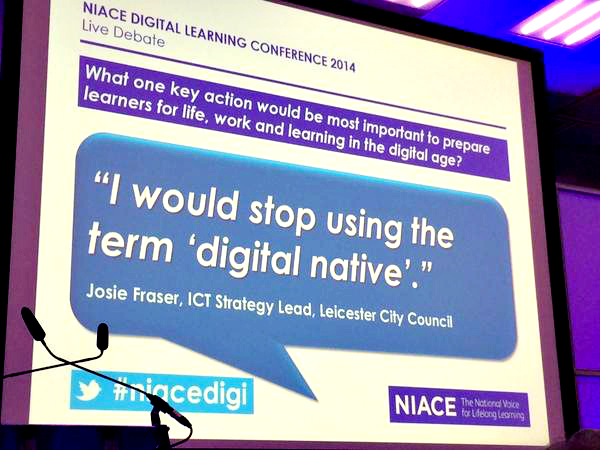 The DigiLit Leicester project created an infrastructure for holistic, integrated change, by supporting staff development in 15 the area of digital literacy for secondary school teachers and teaching support staff. The purpose of this article is to demonstrate how the critique of existing digital literacy frameworks enabled a self-evaluation framework for practitioners to be developed. Crucially, this framework enables a co-operative, partnership approach to be taken to pedagogic innovation. Moreover, it enables social and ethical issues 20 to underpin a focus on teacher-agency and radical collegiality inside the domain of digital literacy. Thus, the authors argue that the shared development framework constitutes a new model for implementing digital literacy aimed at transforming the provision of secondary education across a city. Lucy Atkins and I delivered a workshop at the Association for Learning Technology annual conference, ALT-C 2014, looking at staff digital literacy. We used the DigiLit Leicester Framework strands, descriptors and questions to create two sets of worksheets (which you can download at the bottom of this post) to help structure the session. Workshop participants were mainly working in universities and further education. The aim of the workshop was to use the framework resources to model a practice embedded approach to context/workplace specific digital literacy. In Leicester, we use the framework as a self-reflective tool, to support individual staff members and schools in better understanding their strengths, and any gaps in knowledge and skills they might have. We also use it as a strategic framework to understand the city wide picture and support staff and organisational development. The first set includes seven worksheets – a high level description of each of the six DigiLit Leicester strands – Assessment and Feedback; Communication, Collaboration and Participation; Creating and Sharing; E-Safety and Online Identity; Finding, Evaluating and Organising; and Technology supported Professional Development, along with a mystery strand sheet (below) that we included so that participants could come up with their own digital literacy strand area. Each sheet also includes the description of the four levels we work with (Entry, Core, Developer and Pioneer, with the descriptions being the same for each strand), as a prompt to participants. We asked everyone work with another person or in a small group, and to either pick an existing strand area (with Assessment and Feedback being the most popular) or come up with their own – one of the groups for example chose to focus on ‘online course delivery’ as a competency area, and another chose to look at digital literacy for higher education learners. We then gave all of the teams 15 minutes, flipchart sheets and marker pens to develop their own ideas, descriptions or questions relating to their chosen strand, practically framing these through how the strand would look at each of the four levels. It was a busy and successful workshop – a lot of discussion was generated and groups worked hard at getting to grips with linking their ideas to practice. The DigiLit Leicester Framework has been developed with and for secondary and special school staff, so the stands and questions directly relate to them. However, much of the actual content is relevant and transferable to other groups – working within HE, FE, primary or adult education, or within a different profession or sector. This workshop demonstrated how the framework content can be used to scaffold and support organisations looking to take a strategic approach to understanding what the key digital literacy areas are most relevant to a particular group are. You can see how we have made use of the framework to structure staff development work in Leicester schools by looking at our 2014 staff digital literacy survey results, and our recent project activities report. Teams fed back to the whole group on their discussion and initial thinking. We also provided groups with copies of our framework statements, linked to each level for the six strand areas. These form the basis of the survey we’ve carried out city wide, with staff asked to mark the four statements groups as ‘none’ ‘some’ or ‘all’ (you can find more information about the survey methodology in the 2014 report).